Mayor Livingstone quintuples London "congestion charge"
We report this unfortunate development in solidarity with our British comrades. As if it weren't hard enough living in London – already one of the most expensive cities in the world – Mayor Ken Livingstone has drastically increased the congestion charge for cars entering the city. The fine, originally instituted in 2003 at ?? ?5, will jump exponentially to ?? 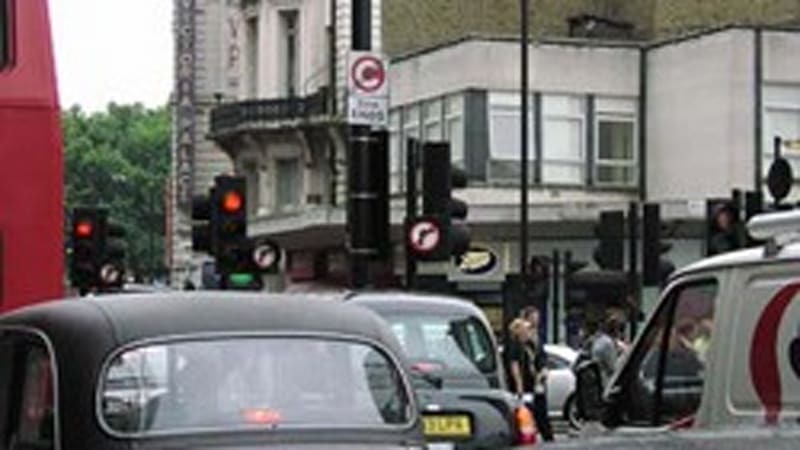 ?25 per day for every vehicle entering downtown London. The news follows last week's announcement that the charge for commercial vehicles increased to a whopping ???200. City officials claim the ?? ?30-50 million it will raise from the added tax revenues each year will be invested into public transportation. Conservative MP (and noted car nut) Boris Johnson calls the charge a "stealth tax" on families requiring larger cars. As before, low-emissions cars are exempt from paying the fee. Not to worry, though: for drivers who have yet to trade in their secure Range Rovers for an unsafe G-Wiz, the now even-further reviled "Red Ken" Livingstone has a plan: 6,000 rental bicycles to be made available around London by 2010, which should pose no problem for commuters in rain-swept England.